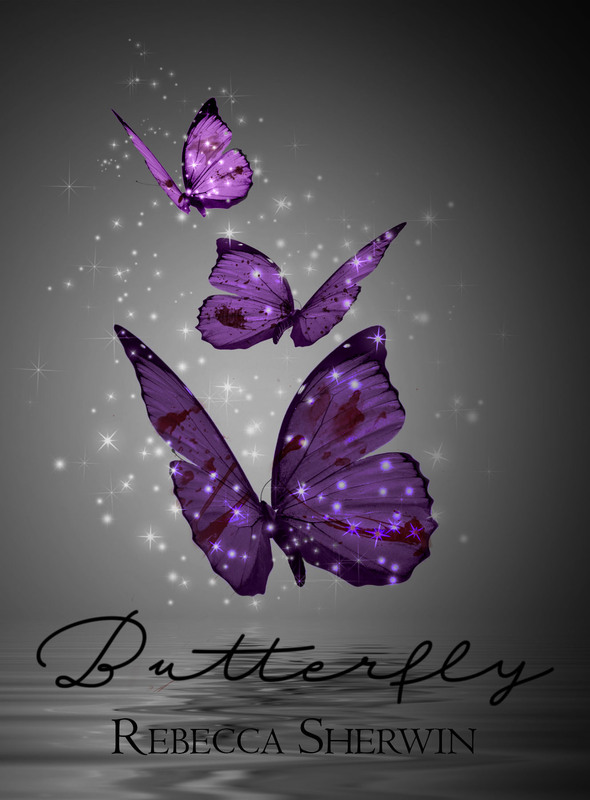 Review – Butterfly by Rebecca Sherwin – 5 Stars!!! Will Erin thrive within the darkness and fly? Or will she die trying to fly? Butterfly will grab a hold of your heart and mind and entwine itself so tight you will struggle to breath. And without any doubt it’s a story you won’t ever forget. Rebecca Sherwin has put her heart and soul into this story and shown us just how talented and passionate she truly is. Erin is a strong and independent woman; she is fierce and talented, whilst at the same time has a lost soul searching for some kind of solace. When Erin finds her life ripped away from her she finds a lot more than she bargained for and fights emotions she didn’t even realise she had. Erin should hate her captor and yet her soul calls to his. I too felt I should hate him and yet I found the man both intriguing and frustrating; an enigma begging to be understood and set free. I believed her captor’s intentions to be for his own benefit and yet I found he had a much bigger motive, one that showed he had a heart; one with compassion, love and care. I found myself wanting to help him and fight for both their freedom’s. Their path is non-conventional, it’s troubled, dark, twisted and full of deceit. Their souls were bound for each other but the devil stepped in and lead them on a darker path. The angels were sleeping when they needed them most and somehow they finally found a way to discover the depth in which their souls connected and found a way to fight! Butterfly however isn’t without its characters that you will despise. You will want to crawl into your kindle and rip them apart limb by limb. Some characters will also surprise you. You will think they don’t hold a key to the deeper, darker story and suddenly you discover they hold a much bigger key than you could ever imagine. 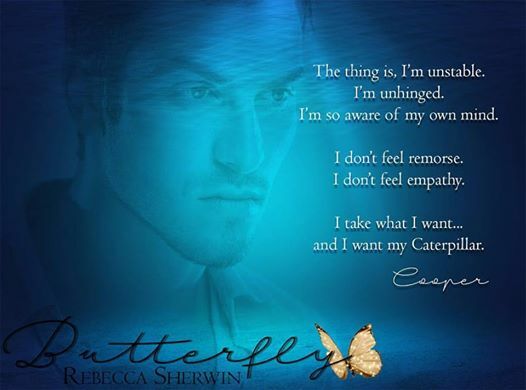 I found myself completely invested in Butterfly by Rebecca Sherwin and I recommend this book for suspense romance readers who also enjoy a twisted, slightly dark angle.